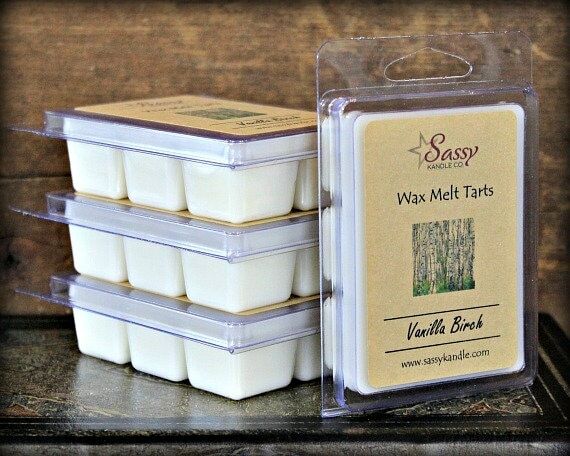 VANILLA BIRCH | Wax Melt Tart | Phthalate Free | Sassy Kandle Co. VANILLA BIRCH - A seductive base of sandalwood & birchwood, blended with creamy vanilla. Soft and inviting - this is a great background fragrance. Great scents,, Fast Shipping,, thank you,, wife is Happy! !